On Wednesday May 24, 2017 the guest programming will include picks from TCM's backlot viewers. As these choices are made known, they will be posted on this thread. I see they have now added PAL JOEY, which will air at 8 p.m. It's the only TCM backlot choice currently indicated on the May schedule. Not sure how many choices will be presented on the 24th. Additionally, May 31, which was originally listed as an evening of Robert Osborne's Picks, has, for the obvious reason that Osborne is not around to make any picks, been rescheduled. The theme that night is now 'Directed By Delbert Mann', including MIDDLE OF THE NIGHT (1959), MARTY (1955), SEPARATE TABLES (1958) and DEAR HEART (1964). Thanks for the update(s). A lot of good films. So we are to assume April 10th will be the last edition of Robert Osborne's Picks. "Meet Humberto Martinez, the winner of TCM Backlot's inaugural Guest Programmer Contest. For this contest, members were asked to submit videos showing off their hosting skills. We received many excellent entries, and the judges were extremely impressed with the creativity and expertise of our Backlot members. Though it was a tough call, Humberto won over the judges with his warmth, charm, and obvious passion for movies. Hailing from Miami, Humberto is a professor of Radiology at the University of Miami's medical school, where he teaches his students about movies as well as medicine. On Fridays, he invites his students and residents to his home theater, where he presents special screenings of classic films. A big fan of musicals, Humberto will introduce three movies with Ben Mankiewicz on TCM: Bye Bye Birdie (1963), The Eddie Duchin Story (1956) and Pal Joey (1957), which was the movie he introduced in his video entry. 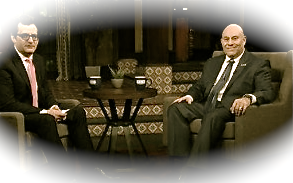 Tune in on May 24 starting at 8:00 PM ET to see Humberto represent Backlot on TCM. Thanks to everyone who entered and congratulations to Humberto!" Thanks Barton for posting that (and congratulations to Humberto). I was under the impression they were selecting four entries from four different people. I guess this explains why we have all musicals airing on the 24th, since it is obviously Humberto's favorite genre! I will go ahead and add his name to the thread that lists all the Guest Programmers. Yes, I assumed that there were multiple entries as well. And as it turns out, only three titles have been selected, not four as I previously indicated. CAMELOT will not be introduced by the guest programmer. Interesting that all three of his picks are Columbia musicals. Maybe he works for Sony. I guess we'll find out more when he's on air. This is Humberto Martinez, the inaugural TCM Backlot Club guest programmer. Camelot was one of 10 movies I submitted, most of them musicals. Yes. that is my favorite movie genre. The TCM judges selected only three, and you know which they are. All directed by George Sidney (coincidental) and yes all Columbia releases (also coincidental). NO, I do not work for Sony. I am not at all in the motion picture industry, but I am a passionate movie collector and love the classics. You can watch my evening with Ben Mankiewicz on May 24, starting at 8PM on TCM. Very nice post. Thanks for visiting the message boards and letting us know. We're looking forward to your presentation with Ben on TCM. Could you please guide me on how to start a new topic. This is in regards to the recent announcement about creating local chapters for the TCM Backlot Club. They suggested posting in this forum for member recruitment.Here is the URL:<https://www.tcmbacklot.com/local-chapters>. I would appreciate your expertise in getting the new topic started. You may want to do that in the General Discussions forum. There's a button in the upper right corner of the screen which says 'Start New Topic' and you can create the thread. Thanks so much for your guidance. I just posted the message. Tonight on TCM Humberto Martinez will be introducing his picks with Ben Mankiewicz. I enjoyed Humberto's discussion with Ben, particularly your experience with film and presenting pictures. Further, your choices were excellent, I love Kim Novak and it was nice to see her in the first two choices tonight. I watched Humberto's movie selections last night. He acquitted himself well when discussing the films with Ben. All in all a pleasant evening of movies. I wonder which musicals Humberto hasn't yet seen but would like to. Be interesting to know.